The first edition of the Innovation & IP Forum and Awards held in Paris on January 23, 2018 gathered 400 participants from all over the world, 60 international speakers and 80 jury members for the two award ceremonies. The Dennemeyer Group was awarded a gold medal for the Best IP Advisor in Belgium and Luxembourg category. The Innovation & IP Forum and Awards promoted targeted networking opportunities by first creating a One-to-One platform designed to connect each participant to the international IP community and offered delegates the opportunity to enhance their international referral network. The following business lunch and cocktail reception allowed participants to network and meet participants with diverse backgrounds. The event also hosted the very first edition of the Experts Insight conferences. 55 outstanding speakers from all over the world shared their expertise through interactive round-tables and keynote speeches in three main tracks: Patent, Trademark, Design & Copyright and Data Protection/IT. 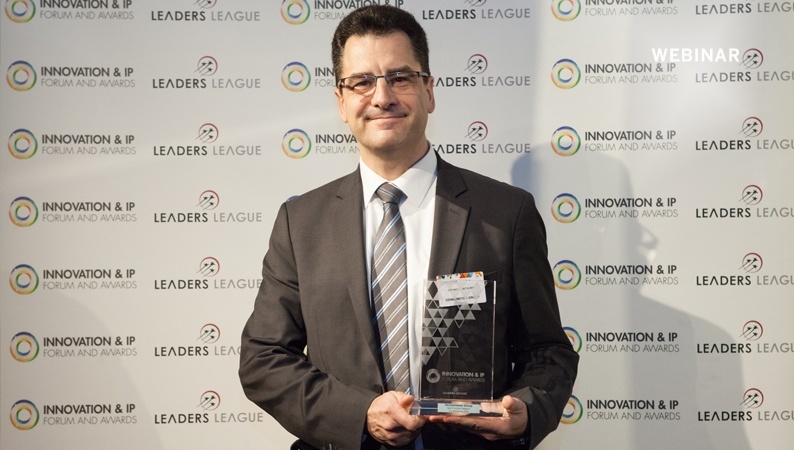 Bruno Contamine, Head of Business Development France, at the first edition of The Innovation & IP Forum and Awards with the gold award for the Best IP Advisor in Belgium and Luxembourg. The networking lunch was followed by the Best IP Department Awards which recognized the best IP Departments all over Europe for their excellent performance in management and leadership. The Best IP Advisors Awards rewarded the best EMEA IP Advisors. 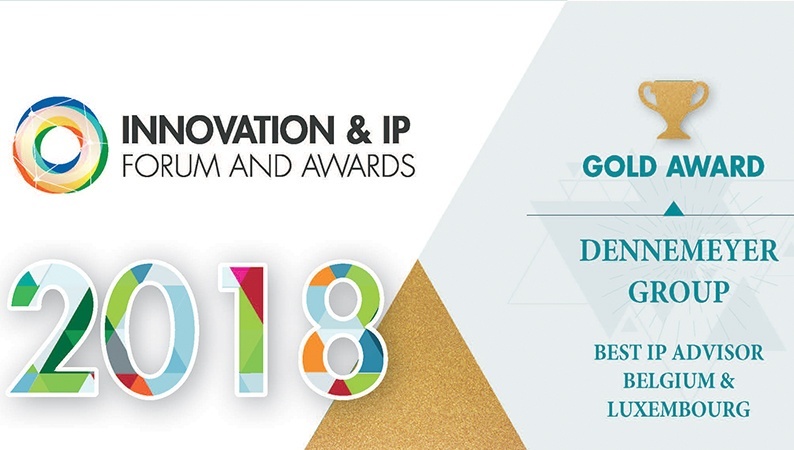 Our colleagues, Alexandra Rybak and Bruno Contamine, represented the Dennemeyer Group and received the gold medal award for the Best IP Advisor in Belgium and Luxembourg category. Winners of each Gold Award category were elected by more than 70 jury-panels specialists committed to assess the application forms submitted by carefully preselected Laureates. You want to learn more about our excellent IP services?